Bulut Bilişim Hizmetlerini vermek üzere kurulan RackDC markası, bugün yüzlerce kurumsal firmaya hizmet vermektedir. The system uses the latest virtualization technology to provide full virtualized environments. All actions such as creating, extending or shrinking virtual servers processed on demand without interruption to the service. The users are able to take backups without extra charge. With the help of OnApp infrastructure private or public clouds, CDN services are created on demand. With the extendibility option, resources are balanced with less investment. Our senior engineers fine tuned the hardware and software parts to offer you the best quality ever. We offer 3 GB CDN resource for free per each Virtual Server that we serve. Reach your content from every place on earth with the same speed. 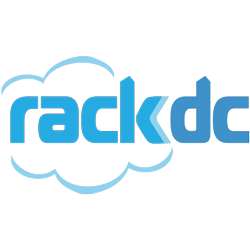 RackDC is one of the first to offer IPv6 on Virtual Environments. Don’t hesitate, we take your backups each day, for free.